Is Your Water Heater About to Break? Most people forget that their water heater isn’t actually integral to the structure of a home. While the walls and roof will potentially last for ever, water heaters are only designed to last a decade or so. However, your water heater will age, decay, and finally stop working and need to be replaced. Because a broken water heater can become dangerous, it’s important to watch out for signs things aren’t quite right and determine whether your water heater can be fixed, or it’s time to get a new water heater. 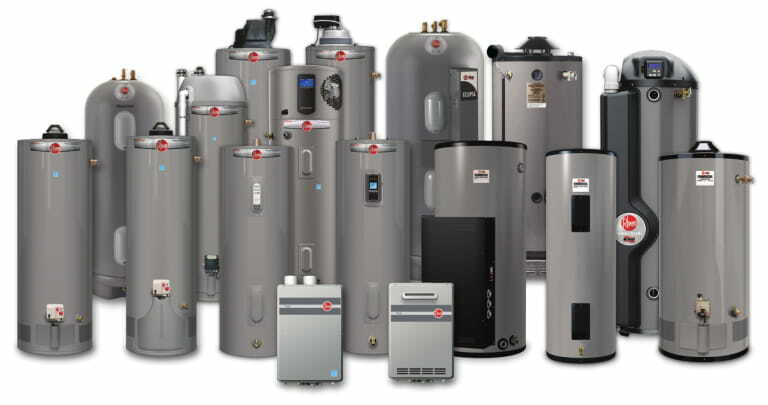 One of the most common issues with failing water heaters is that they get noisy. Not like your dryer. More like a popping noise, or percolating sound. Rumbling, banging, and popcorn like sounds can all indicate your water heater isn’t working properly. When old water heaters do display this behavior, it’s due to sediment building up at the bottom of the heater. To fix and prevent this issue, you need to have your water heater flushed and cleaned about once to twice a year to clear out the sediment. Otherwise, it will harden and make that unpleasant sound when it heats back up. If your water isn’t warm at all, this could indicate your pilot light has gone out, which is a quick and easy fix. Warm water means your water heater is trying to heat up the water, but just can’t work up the force to do so. It will continue burning power and trying to create heat until eventually, the mechanism fails and your water heater fails completely. You’ll want to call an HVAC professional to investigate further. Most water heaters work by heating a large tank of water with a flame. The flame under the tank heats the water and then the hot water is transferred to your sinks, appliances, and showers. Burn or scorch marks on the sides of your water heater, on the other hand, can indicate a dangerous problem. Your HVAC professional will be able to advise you of the problem and the solution. This will ensure there are no lurking functionality or safety hazards, and you will be aware of any potential future problems. If your water heater is old or not working as expected, call a professional HVAC appliance repair service to inspect your unit, flush water to clear the sediment, and provide you with hot water again.